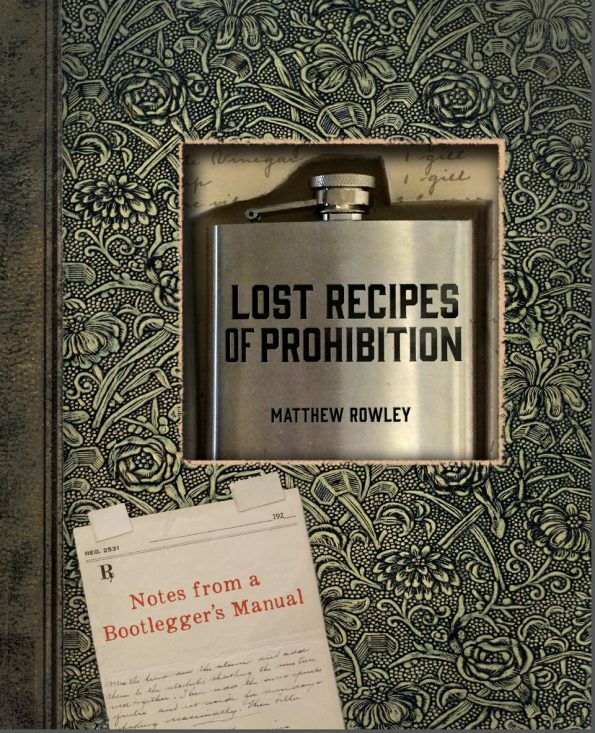 One of our favorite cocktail books in our collection is Matthew Rowley’s Lost Recipes of Prohibition. It is a great resource for people who want to learn more about the Prohibition Era, as well as the cocktails that came from the time. We were lucky enough to track down the author Matthew Rowley (he isn’t so hard to find, he’s just busy) and ask him a few questions! Matthew Rowley is an author, editor, and public speaker. 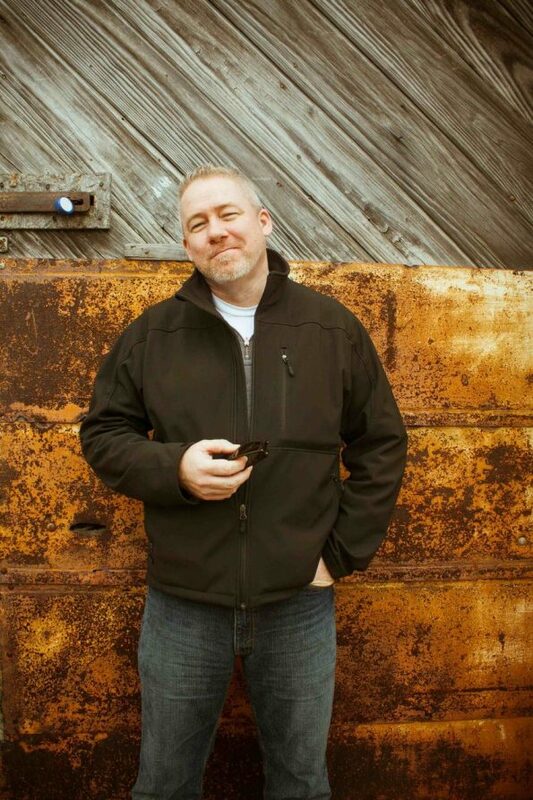 He is a former museum curator and advertising executive and has served on the boards of the Southern Foodways Alliance at the University of Mississippi and the Museum Council of Philadelphia. The author of Moonshine! (Lark 2007) and James Beard Award-nominated Lost Recipes of Prohibition (2015), Rowley has also contributed to Distiller, Whisky Advocate, The New Encyclopedia of Southern Culture, The Art of Distilling Whiskey, Modern Moonshine Techniques, Salon, The Daily Beast, and numerous universities and other publications. He is an editor and contributor to the forthcoming Oxford Companion to Spirits and Cocktails. Rowley is a frequent presenter at Tales of the Cocktail in New Orleans and has been a policy advisor for the Museum of the American Cocktail. He lives in Southern California. Why whiskey? What is it about this particular spirit that interests you? In a former life, I was an anthropologist and museum curator. Curators revel in material culture; we collect stuff — and use it to learn as much as we can about our fields. For me, that acquisitiveness manifests in old books, good blades, and nice bottles of booze. The size of my liquor collection varies from month to month, but it runs about 800 bottles these days. It’s less of a hoard than a working liquid library; every bottle is meant to be drunk, shared, or given away. Cabinets and shelves around the house are freighted with whiskeys, brandies, rums, liqueurs and amari, gin, tequila, aquavit, and so many more. Ultimately, a selection like that helps me write about those spirits, whether that’s in analyzing an individual spirit, placing it in a broader class (“How does this Old Tom,” for instance, “compare with those four?”), or mixing drinks. Visiting friends, distillers, and bartenders generally don’t find much lacking when we want to make a drink. Or five. I particularly like when guests bring spirits they’ve made themselves. No matter how much I enjoy recreating recipes I’ve collected from friends and colleagues around the world, though, no matter how soothing a Norwegian Paralysis or an Army Navy feels, or how well a Negroni captures my mood, only whiskey — plain, unadorned, palliative whiskey with perhaps a spot of ice — pulls me out of my deepest funks. A quaff of whiskey can reach down into my core, warming everything along the way. Muscles relax, tendons loosen just a little, troubles seem to atrophy — or solutions to them emerge. Whiskey puts me in a contemplative mood. When I strip away all the syrups, tinctures, bitters, infusions, all the garnishes, embellishments, and showmanship of modern bartending, few drinks make me more content on an almost molecular level than a glass of whiskey in hand. Tell us about your book Lost Recipes of Prohibition, how did the idea come about? Lost Recipes of Prohibition is a fluke, a one-timer. There won’t be another book like it. At least not from me. It is based on the handwritten notebook of a German-born New Yorker named Victor Lyon. My friend and chef Fritz Blank gave me the notebook years ago. One day in the library above his Philadelphia restaurant Deux Cheminées, he simply slid the book across a table and said “Here, this is more your area than mine.” Fritz, who died while I was writing Lost Recipes, was generous like that. It’s a model I’ve tried to emulate by keeping my own culinary library open to historians, chefs, bartenders, and others in the industry. Like his parents and brother, Victor Lyon was a physician. He practiced in the early to mid-20th century, but kept a secret: that little blue notebook. On the outside, it looks like a book of poetry by a once-popular — but ultimately disgraced — German-American writer named George Sylvester Viereck. Inside, it’s a different story. There is none of Viereck’s dreary poetry at all. The pages were blank. The book may have been a printer’s mockup or a salesman’s dummy. Who knows how Lyon got his hands on it? But when he did, he started around 1921 filling the pages from cover to cover with recipes and formulas for alcohol. His notes were in English and German, a language I hadn’t spoken since I was a kid. Later entries were in Latin — and sometimes mashups of Latin and German. Many of the recipes were what you’d expect from Prohibition-era bootleggers: lots of essential oils, flavorings, and syrups. A handful of ingredients are dangerous or outright deadly. But many recipes described proper whiskeys, cordials, and bitters using the kinds of botanicals modern bartenders would recognize. The challenge was translating and sifting through Lyon’s 300+ recipes for gins, genever, absinthes, brandies, cordials, whiskeys (both real and faked), rums, and other potables, then pull together a coherent story about drinking both in the decades leading up to Prohibition and during the Volstead years themselves. I am humbled that the book was nominated for a James Beard Award this year. As a whiskey lover, are there any that you don’t care for? As an anthropologist, one of my areas of study is folk distilling; the brandies, whiskeys, and other distillates people make usually in extra-legal settings. Moonshine, in other words. Or at least it’s moonshine when laws forbid such things. It’s just liquor otherwise. I have traveled tens of thousands of miles and spent more than half my life in pursuit of extra-legal liquor and those who make it. In 2007, I turned some of those stories and recipes — and still-building directions — into a book called Moonshine! The timing was good. Just as newer American distilleries were taking off, there was a upswing in both real moonshine made outside the law and make-believe moonshine, the stuff one buys in liquor stores. The book continues to sell very well. As much as I love, love, love that men and women are making liquor in kitchens, garages, basements, and the outdoors, I have to admit that some of it is pretty bad. Making whiskey is about as easy as making cake, but making either cake or whiskey you’d want to share with loved ones does take skill and practice. Plenty of times in the last 25 years out in the field, I’ve downed shudderingly bad whiskey because it was the polite thing to do. The good news? American moonshine whiskey is getting better. I’m not so proud to think that my book is the reason, but would-be home distillers have access to so much more information these days than they did in decades past. Here’s hoping there’s less bad whiskey for us all! What’s the most important tip you would give to someone who wants to start learning about whiskey? Taste, taste, taste. Don’t get sucked — at least not at first — into the crowd that treats whiskey like baseball or hockey, guys who can tell you all the stats and abbreviations and insider knowledge but who can’t play a game to save their lives. Talk to bartenders, listen — but don’t take what they say as Gospel. Very well-intentioned bartenders and enthusiasts can sometimes be wrong about facts. That’s particularly understandable in an industry that tolerates fudging stories and obfuscating facts to a frustrating degree. Read. Become familiar with the work of reliable writers such as Lew Bryson, Chuck Cowdery, Fred Minnick, Michael Veach, David Wondrich, and Michael Jackson (the late whiskey and beer authority, not the singer whose “Jesus Juice” was allegedly white white out of a can). Check out videos. Ralf “Ralfy” Mitchell, for example, has about 600 online Scotch whisky video reviews. Even if you’re not a fan of Scotch, it’s worth watching his approach. Pay attention to the opinions of others but do not adopt them as your own. At least, not without tasting. On a budget? Who isn’t? Throw a bottle party — which is not (necessarily) where you and your buddy Mike end up in a closet for seven minutes of tongue-wrestling and tonsil-diving while your friends continue to drink. Rather, get together with a few friends, each of whom brings a different bottle of whiskey to one of your homes. Put a cap on the price tag. Twenty bucks, forty, whatever suits your budget. Everyone samples each whiskey, talks about them, says what they like and don’t. You’ll start to dial in your preferences pretty quickly. But don’t ossify. Keep tasting. Once you get rolling, try some themes: wheated bourbons one night (or morning: who am I to judge? ), American ryes another or maybe Canadian. Japanese whiskeys, single malts. Whatever commonality binds them together so you can compare similar whiskeys. It’s helpful to have read up on the whiskeys beforehand. Not reviews necessarily, but background information so you know the difference between highland and lowland Scotch, between bourbon and corn whiskey. Plow through the blog Nonjatta for Japanese whisky information. Then come to your own conclusions about what you like and don’t. What is your favorite cocktail to make at home and why? Plenty of nights, I enjoy just a glass of whiskey. Some nights, three. My go-to cocktail, however, is the Manhattan. It’s a simple, elegant 2:1 concoction with bitters (and the booze cherries I put up in June during the brief window when sour cherries are available in Southern California). A Manhattan was also the first drink I learned to make, somewhere around 1974, at the side of J.C. O’Leary, my grandfather. Goodness aside, it’s a sentimental favorite. I also like to mix them in my dining room at the copper-topped dry sink that used to sit in his St. Louis den. What’s the one thing whiskey you always have stocked in your home bar? With a rotating stock of around 800 bottles, what’s always in the house is a slippery proposition. Call them craft or micro or whatever, but there is always a robust mix of spirits from newer American distilleries. There will be rye, bourbon, and Japanese whiskey. Some you’re likely to find include Buffalo Trace (I like the taste and at 45% abv it stands up well in mixed drinks), Bulleit (both the rye and bourbon are great values at around $32/1.75L), various Willets, Wild Turkey, and Bushmills. But what’s there on any given day is a crap shoot. What’s next for you, any new books in the works? One of the projects I’m working on now is David Wondrich’s massive booze opus The Oxford Companion to Spirits and Cocktails. When it drops, it will be one of the very best and reliable first place to look for information on specific cocktails, distilling technology, and spirits from around the globe. Dave asked me to contribute articles that range from Filipino moonshine to flaming Weihnachten bowls. At the same time, I’m editing entries from some of the best-known players in the booze world from distillers and bartenders to tequila and tiki specialists. It’s going to be amazing. As always, I’m traveling around the world drinking, tasting, eating, and talking to bartenders, distillers, and home enthusiasts about what they’re making. I have one ear permanently cocked for illicit and sub rosa beverages, whether that’s local moonshine or cannabis chai. In the next few months, I’ll be judging drinks and spirits competitions, visiting cocktail joints in the UK, taking a dog sled into the Arctic Circle with hot toddies in tow, diving into Stockholm’s bar scene, hitting Kansas City barbecue joints, and hunkering down with apple distillers. I dote on whiskey, but brandies — and in particular apple brandies — have always been among my favorite spirits. Besides whiskey, what do you geek out about? My god, how much time do we have? I don’t have any passions. At least, not for things. I have obsessions. Travel, of course, is one of them. I get antsy if I’m in one place too long. Typography, video editing, tea, Japanese and Scandinavian design, men’s fashion, woodcuts, fencing, obsolete professions, paleodemograghy, languages, ice cream, H. P. Lovecraft (my best find was thirty years ago at a garage sale: fifty cents for his 1943 Beyond the Wall of Sleep, a volume that goes for thousands of dollars now). Then of course, there’s kitchen knives and enormous cleavers, hand-carved Krampus masks, books about food and drinks (my culinary library is about 3,000 volumes), sausages and charcuterie — it goes on and on. Cannabis beverages — not merely cannabis cocktails, but the whole suite of cannabis drinks that have played out over millennia around the world from ancient China and India to the distinctly different modern examples from places such as Jamaica and Seattle. I don’t write about that one much, but it’s been one of my academic and personal interests for the better part of three decades and I’ve consulted on textbooks and journal articles about medicinal cannabis. I’m indifferent to sports that I’m not actually playing at the moment and don’t pay too much attention to autos, though I like driving German sports cars and am fond of my little BMW Gran Coupe. I try to read things every day from other fields so I don’t become ossified. The thing is, I’ve got a perpetually restless mind. This isn’t necessarily a good thing. it’s hard to turn off the constant churning of thoughts and curiosity. I’ve discovered only in the last year that lifting weights helps to calm that incessant brainstorm, so I’ve been going to a power-lifting gym just north of Tijuana. Best part? I pass Tacos el Gordo, an awesome taco shop, on the way home. Because we’re geeks, we need to know, Star Wars or Star Trek, why? Neither. Both are fine. I grew up on old Trek on reruns with my father and have watched plenty of the followups and spin-offs over the ensuing decades. The last Star Trek movie was a snore, but who doesn’t admire Patrick Stewart’s turn the captain’s chair? And I obsessed over Star Wars as a kid. Ob. Sessed. Mowed lawns and did odd jobs just to have money to buy so many toys (“They’re not dolls, Mom, they’re action figures!”). I can still bring up the off-gassing plastic smell memory of a freshly opened action figure package. But Star Wars led me to Joseph Campbell’s work on myth, which informed my earlier obsession with the Grimm fairytales and helped me to understand common themes underpinning books and films from Tolkien’s writings to The Wizard of Oz. Naturally, I was a huge Dungeons & Dragons geek. Until I was about 20, I’d seriously considered earning my PhD in folklore — until I realized that I also wanted to be employed. I even won an award in undergraduate school for the sheer breadth of my folklore library, long since sold off. As I kid, I paid little attention to cheesy Dr. Who reruns because I held the cheap sets and makeup in a sort of childish disdain, but the rebooted series has had great moments and story arcs. Both David Tennant and Matt Smith could dig into the heart of what it means to be human in ways that Star Trek only skimmed. Peter Capaldi as the 12th Doctor delivered a line that ranks among my favorite perhaps of all television history. “Say my name.” No, wait. Not that. It’s this: “Do you think I care for you so little that betraying me would make a difference?” It’s easy to be angry at people, especially loved one who have betrayed us. But I had Capaldi’s line in mind last year when a friend did just that. “If I surround myself only with people who never made mistakes,” I told him, “there’d be nobody left.” I’m pleased to have mistake-makers in my life. Leaves room for me to be one, too. Can you share a cocktail recipe with our readers? We want to thank Matthew for taking the time to talk with us! Be sure to visit www.matthew-rowley.com and www.WhiskeyForge.com. Also follow his adventures via Twitter! What are some of your favorite books about whiskey? Do you have a favorite recipe? We’d love to hear all about it! Leave a comment below or use the hash tag #GeekEats! Doctor Lyon’s ginger brandy is a fiery concoction with a great ginger taste, but it’s a bit sweet on its own. Dr. Tim Furnish, pain management specialist at the University of California San Diego, mixed Lyon’s ginger brandy with citrus and dry gin for — well, not a painkiller exactly, but I will take two and call (a bit later) in the morning. Macerate the ginger in brandy for 2-3 weeks. When the ginger taste is strong, make a syrup by heating the sugar and water together, stirring until the sugar is completely dissolved. Strain the ginger-flavored brandy into the cool syrup and bottle. *The Geeks were not compensated or given any comped items to facilitate this interview; Recipe shared with permission from Matthew Rowley. All opinions are wholly our own. View our Disclosure Policy for more info.